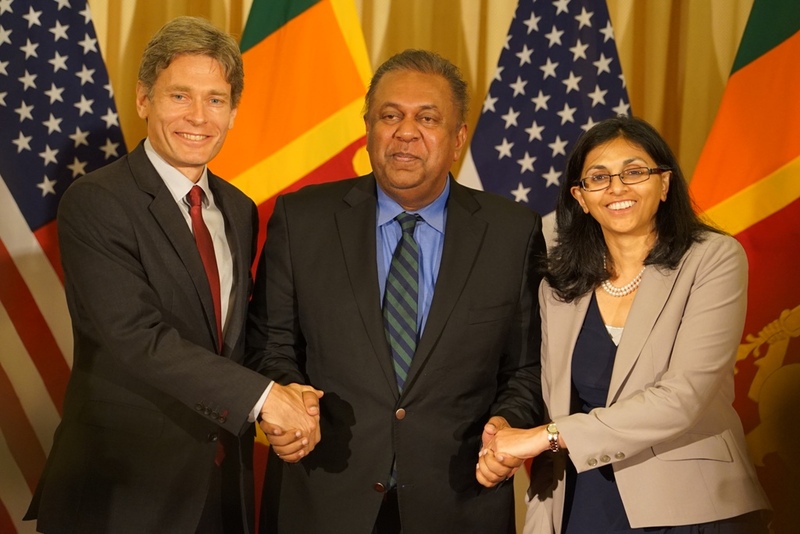 It is a pleasure to welcome Assistant Secretary of State for South and Central Asian Affairs Nisha Biswal and Assistant Secretary of State for Democracy, Human Rights and Labour Tom Malinowski to Sri Lanka and to this Ministry, once again. I am sure that by now, both Nisha and Tom are quite familiar to all of you. 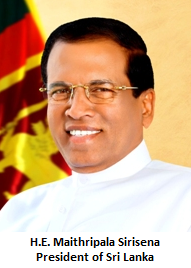 As you all know, since the Presidential and Parliamentary Elections in Sri Lanka last year, and the series of steps taken by the Government, with the support of the people, to uphold, promote and protect fundamental freedoms, strengthen democracy, good governance, justice and the rule of law, our two countries have managed to elevate the traditionally friendly Sri Lanka-US relationship to a historic high, in a matter of little over one-and-a-half years. It is in a sense, a new beginning for both countries; and we are now engaged in building this relationship as natural partners. We have seen a series of visits from the United States since January last year. This included the Cabinet-level visits of Secretary of State John Kerry, and Ambassador Samantha Power. These high-level visits, combined with the hard work of Assistant Secretary Biswal and Assistant Secretary Malinowski, and others including our respective Ambassadors in the United States and in Sri Lanka, we have succeeded in consolidating relations between our two countries. It was the result of all this hard work that saw our two countries set up a ‘Partnership Dialogue’ between the United States and Sri Lanka, which met for the first time in Washington DC in February this year. At our meeting today, we discussed a range of issues of bilateral importance including economic cooperation; governance, development cooperation, people-to-people ties; and security cooperation. We also discussed matters pertaining to reconciliation in Sri Lanka; as well as international and regional issues and events that impact on our countries. Apart from discussing ways of making our partnership stronger, including enhancing bilateral trade and investment, we also discussed about enhancing maritime cooperation and Sri Lanka’s participation in the ‘Our Oceans’ Conference aimed at preservation of Oceans, to be held in September, in Washington DC. We also discussed the importance of providing an economic peace dividend for the people of Sri Lanka as we progress in the process of reconciliation; and I emphasized the interconnected nature of reconciliation and development, and the resources required for the success of both. During their current visit, the two Assistant Secretaries will call on Prime Minister Ranil Wickremesinghe tomorrow at Temple Trees. They will also meet the Leader of Opposition; Senior Parliamentarians and Ministers; and the Secretary of the Ministry of Defence and the Commanders of the tri-forces. They will also travel to Trincomalee on the 14th where there will meet the Governor and Chief Minister of the Eastern Province; and of course visit the historic Konneswaram Temple; and several other project sites. I look forward to continue our engagement with the United States, especially through the ‘Partnership Dialogue’, to take our relationship to even greater heights and I wish both, Nisha and Tom and the delegation a very pleasant stay in Sri Lanka. And now I would like to invite Nisha to say a few words.